In Canada, most places (excluding the more moderate West Coast locales) have unpredictable early spring weather that can include snow storms, heavy snowfall, and sub-zero temperatures. Especially in Montreal, Canada's third most popular city to visit, but also one of its coldest, March can be wet and frigid rather than mild and sunny. March is low season for visitors to Montreal (except for during school March Break), so lots of hotels offer great deals and there is wonderful spring skiing at nearby mountain resorts like Mont Tremblant. If you have the proper clothing, including waterproof footwear, you can still enjoy walking Old Montreal's cobblestone streets and visiting many of the city's most popular attractions in March, but drinks on the patio may be out of the picture. If you don't mind cold weather and possibly a major snowstorm, then March may be to your liking. 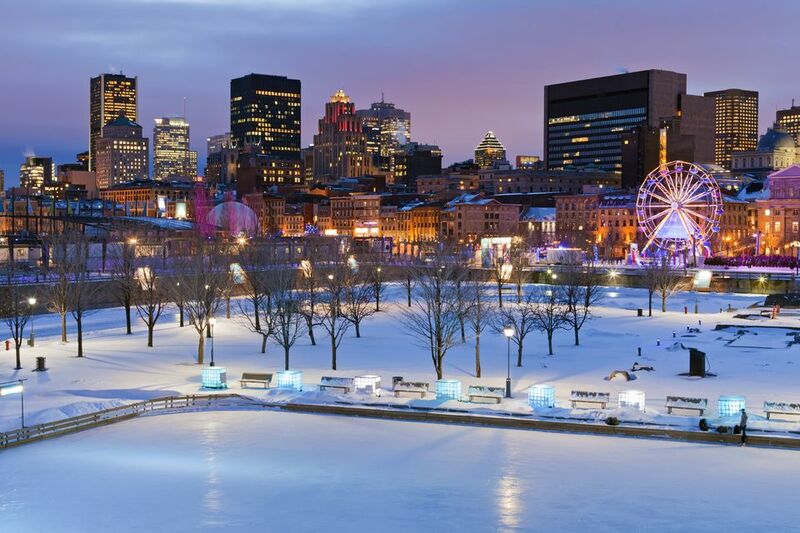 Montreal in March is definitely for a more hardy traveler; a more delicate traveler might find the temperatures out west—in Vancouver or Victoria—to be more to their liking. The month starts out quite chilly, with temperatures regularly below freezing, but closer to April, the mercury starts to rise. You should still expect mostly wintry conditions and plenty of freezing temperatures, however. You can also expect rain (or frozen sleet) about five to seven days throughout March with accumulation totaling around two inches. During March, Montreal receives around 11 hours of daylight at the beginning of the month, increasing to nearly 13 hours by the end of March. Montreal has cold, snowy winters. The sub-zero temperatures feel colder because of the wind chill factor. But, temperatures are not necessarily unpleasant if you're prepared. Visitors to Montreal in March should be prepared for a variety of temperatures. Warm spells have been known to happen. Pack clothing that can be layered such as long sleeve shirts, sweaters and sweatshirts, and a heavy winter jacket or waterproof vest. You'll also want to wear closed-toe, comfortable waterproof shoes, and boots. If you see rain or snow in the forecast, throw in an umbrella or snow gear. There are tons of activities happening in March in Montreal for those who can brave the weather. The Montreal High Lights Festival, also called Montréal en Lumière, is an all-night party featuring food, fireworks, music, and more. It typically runs through early March. The International Festival of Films on Art features more than 150 films from 25 countries that explore art in all its forms. Les Rendez-Vous du Cinéma Québécois is a celebration of films made in Quebec. It typically runs from late February through early March and features several hundred different titles. Montreal's Saint Patrick’s Day Parade is the oldest in Canada, dating back to 1824. It's one of the city's most popular celebrations. Nuit Blanche is the closing festival of Montréal en Lumière. It's a special night which includes entertainment for everyone throughout the city. Public schools have their winter break (also called March Break) during one of the weeks in March—the week varies by province—so if you are planning a trip in March, be prepared for busier than usual hotels and attractions. One big draw to Quebec in March is that it is sugar shack season. Starting in February, as temperatures begin to rise and maple sugar starts to run, which means local maple syrup producers welcome visitors to learn how the sweet, sticky condiment is made and sample it straight up or as part of a meal. Visitors flock to Quebec for winter skiing, which continues into March. The province has more than 80 alpine ski hills and Montreal itself offers nearly 200 kilometers of cross-country skiing.